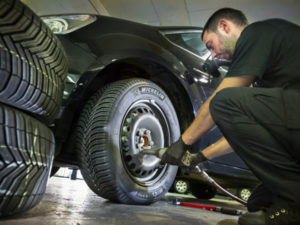 The business began using the original CrossClimate winter-certified summer tyres shortly after the product’s launch in 2015 in a move to provide vehicle traction all year round but Addison Lee says it’s also seen longer-lasting performance from the tyres, increasing replacement intervals. As a result, the private hire firm currently fits around 5,000 fewer tyres per year than it did prior to the switch to the new policy, which is managed by Universal Tyre and Autocentres. More recently, Michelin has launched a new range of CrossClimate+ tyres, which bring the benefits of its CrossClimate range but with improved through-life performance in snow.